(Unique Building And Structures Around The World) Today our world is full of buildings, roads, industries, and all that architects could build on land by blending different old as well as new materials. While most of them stand for good reason and purpose, there is some whose motive for being built may not be enlightening at a single glance. Most of these strange or Unique building’s were one of the most creative inventions of their times. They require a proper insight and some ‘out of the box’ thinking in order to clearly understand them. But, at the same time there also some buildings which don’t really have any justification for existing in the way they do. 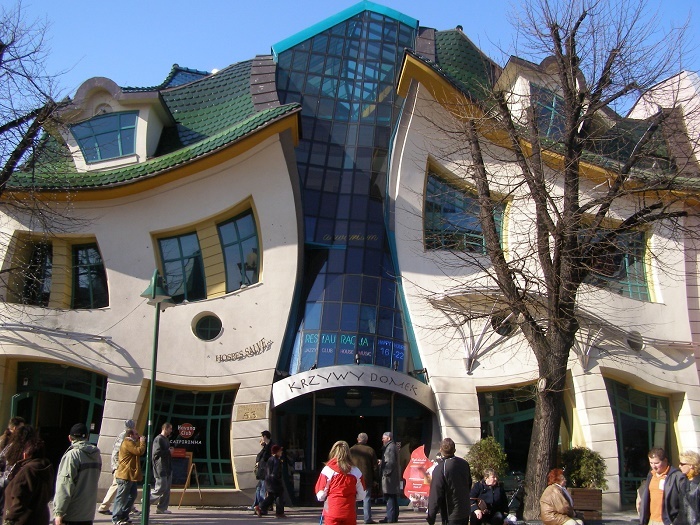 Krzywy Domek which is the Polish name for ‘Crooked House’ is a unique building located in a shopping center in Sopot, Poland. Influenced by the drawings of Jan Marcin Szancer (a Polish professor), Szotynscy and Zaleski built this weird structure in 2004. Also, this crooked house is a very famous tourist site in Poland. This visibly crazy house has been attached upside down at the roof of the popular museum named Museum Moderner Kunst, in Vienna, Austria. Designed by artist Erwin Wurm, who is known for making such boggling buildings, is the first thing that will catch your eye while visiting the museum. Though this house may seem senseless, the interior of Museum Moderner Kunst is worth watching with classic and stunning works of architecture. As the name suggests, this structure consists of a large piano and a huge transparent Violin made of glass. Built in 2007 by the Heifi University of Technology, the unique building, Piano House has become a popular tourist destination in China. The violin basically serves as an entrance to the piano, which actually houses upcoming architectural ideas for newly developing areas. 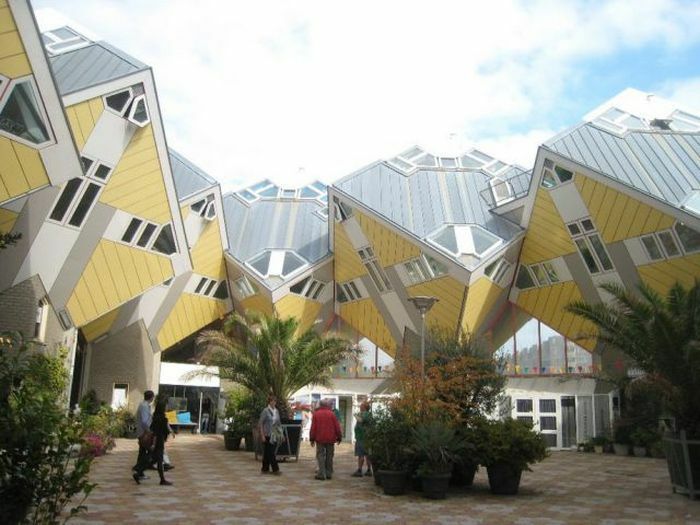 Located in Rotterdam and Helmond, in Netherlands, the Cube Houses are a symbol of pure excellent architecture and intelligent design. It has been built by the famous architect Piet Blom on the theme of optimizing small spaces and rests on columns placed in the shape of a Hexagon. Upon viewing from a distance, each house looks like a tree. Hence, all of them together give an idea of a forest. Situated in Montreal, Canada, Habitat 67 is a housing complex with a unique design of carefully placed concrete structures. 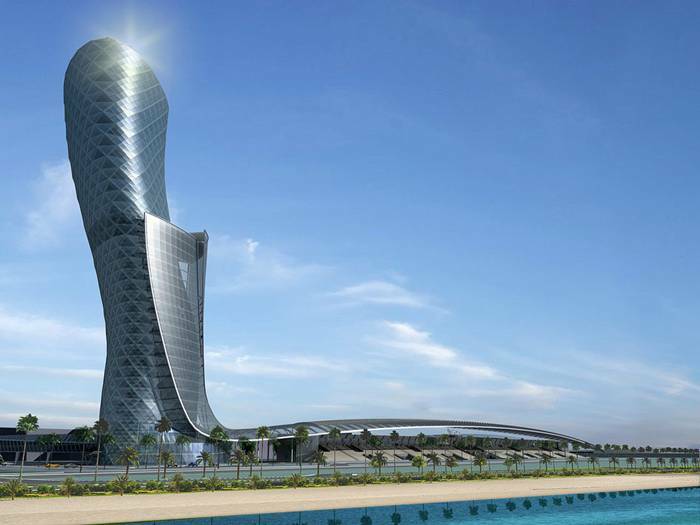 The idea was first projected as a thesis by Canadian architect Moshe Safdie, way back in 1967. This eerie building gives the feeling of a moving puzzle that is shifting into some different shape. Also, it is considered one of the most innovative works of architecture in Canada. This unique building is built in the shape of a shell by Mexican architect Javier Senosian, in Mexico. It’s unusual shape, colorful tainted glass and blends of art and modern design, all make this house one of its kind. It is based on the principle of ‘Bio-architecture’, utilizing organic forms, and thus creating an eco-friendly environment inside the structure. All in all, the Nautilus House presents a perfect lifestyle of living in harmony with nature.